Read the information on our website and the official Lacanche website. 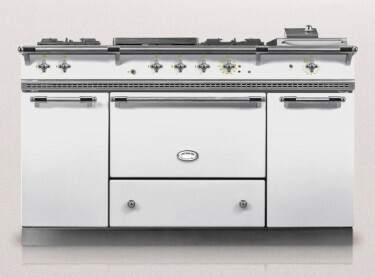 Things you need to consider are the width of your range, colour, quantity of ovens/grills, hob configuration and the fuel types (LPG, mains gas or electric). Get in touch and we can discuss your order and make sure that every detail has been covered. We can offer advice if needed on the best configurations for your kitchen and cooking habits. Once we have your preferences we will send you a bespoke quote for your Lacanche range which includes delivery to NZ, and all taxes and import duties. Cost for delivery in New Zealand is confirmed at a later stage. We then require a 50% deposit to confirm the order, at which point we will finalise all the details with you. The skilled workers at Lacanche will hand assemble your completely unique kitchen range and let us know when it's ready. Your Lacanche range now embarks on it's journey to New Zealand, we sort all the import duties and taxes for you. Now your Lacanche is on home soil, the full balance must be paid. We then quote for the delivery within the country. Your custom Lacanche safely arrives. We provide instructions on unpacking and installing your cooker. Time to invite your friends over for a dinner party and celebrate!